The other dry kiln is a HI-VAC. Here, the wood is dryed with high temperatures and proper airflow, but it all takes place in a vacuum. 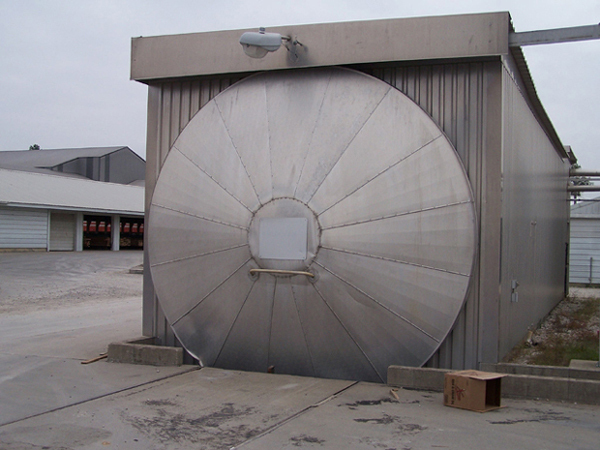 Though it can hold less board feet, the HI-VAC dry kiln is faster than the conventional kiln.